Benidorm is a coastal town in Spain which attracts many tourists from around the world. However, this tourist destination becomes even more dynamic during the festivals. Benidorm is popular among tourists for its festivals and events. Almost every month Benidorm celebrates atleast one event in a grand way. January- In this month the festival of Saint Anthony Abbot and the Three Kings Procession is celebrated with great enthusiasm. The Kings Procession marks the arrival of the kings on horseback. Another important event during this month is the Day of Constitution. February- The ‘ Burning of the Sardine’ is the important festival celebrated. There are events like carnival and fancy dress parades. The end of the carnivals is celebrated on Ash Wednesday. The burning of the Sardine marks the end of the past and beginning of new things. March- Virgen del Sufrage is a crucial festival during this month. 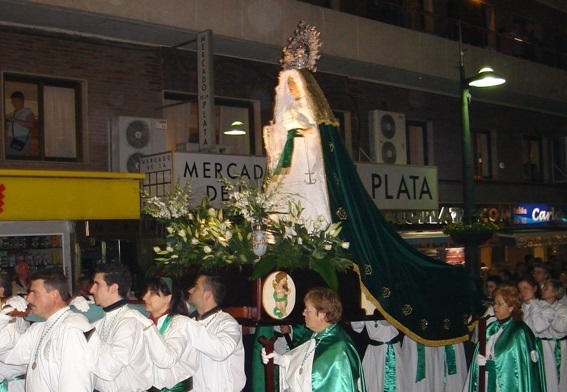 In this festival, the statue of Virgin is taken out through the streets of Benidorm town. 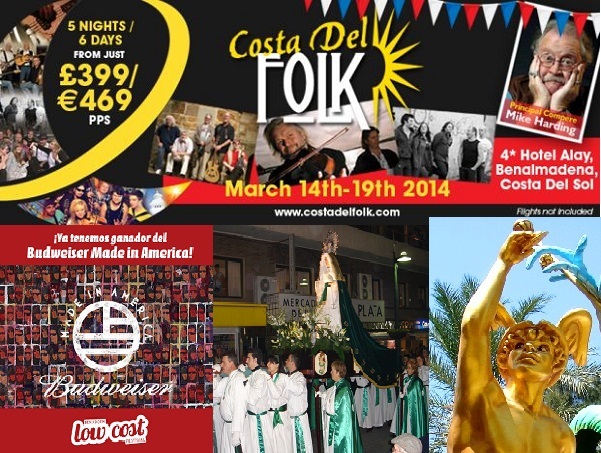 Festival f Saint Joseph is another event celebrated by the people of Benidorm. Competitions are organised to make efigies of the Saint. April- There are Holy Week processions held during this month. 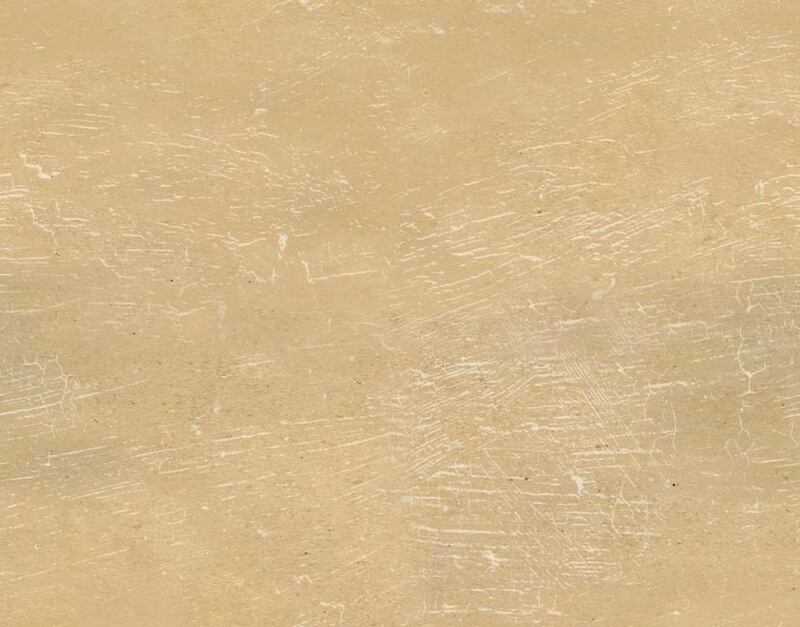 Also, there are many plays which are enacted in celebration of the same. 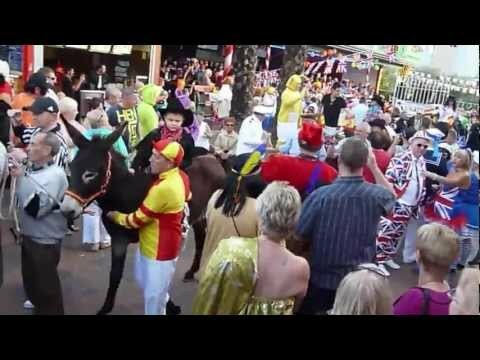 See procession of Easter celebrations in Benidorm above. May- Fiesta de la Creu and San Isidra Labrador are important festivals celebrated in the month of May. June- There are traditional dances and parades organised during this month. There are also bonfires of Saint John. Another popular festival celebrated in June is the Romeria del Corpus. July- There is cultural festival along with food and dance. August- Celebration of Patron Saint. September- Grape harvest is celebrated with a lot of joy. 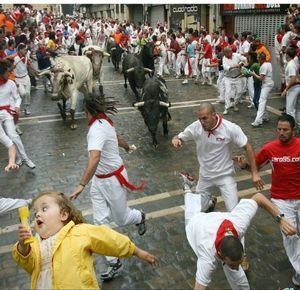 The festival is also known as Fiesta de la Vendimia La Santina. 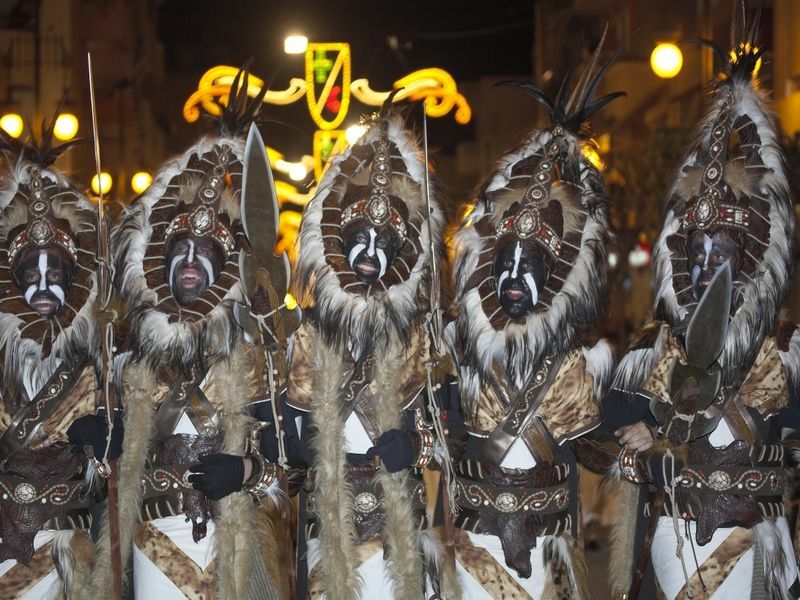 October- The popular festival of Moors and Christians is celebrated during this month. It is a festival which depicts the history of Spain through plays and carnivals. Another festival which is celebrated with equal excitement is the Festival of Rosebush. National Festival of Spain is celebrated on 12th October. 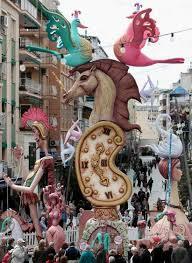 November- Festival celebrated during this period is known as Benidorm Fiestas. It generally begins on the 2nd Friday of the month and goes on until Wednesday of the next week. 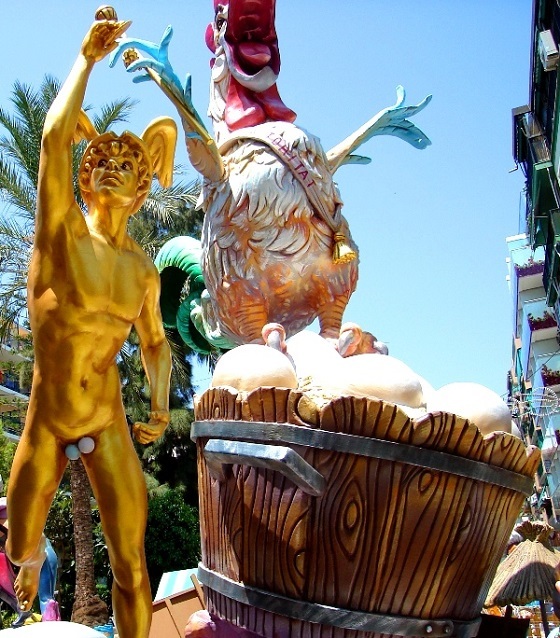 This festival is celebrated to pay homage to the Patron Saints of Benidorm. There are sports and cultural activites arranged. Apart from this, there are plays, puppet shows and many other entertainment activities. December- Christmas is celebrated here like it is in other parts of the worls. The Christmas celebrations begin on 20th and continue uptil the 31st. On 31st December, there are grand celebrations in traditional Spanish way.